Sounds like a great experience! And it highlights the value of this blogfest - Ive been following you since A2Z yet missed this post. I'm mentoring someone at work who is really struggling with confidence issues and other problems. This will be a great post to share with him. I remember this blog post! I would've felt the same way going into it. I commend you for embracing what they were teaching and getting something valuable out of it. This is such a great post! I'm in the middle of a huge life change. This feels like something that will help. Thank you! I remember this blog post and love it just as much as I did when I first read it! Thank you for sharing your wisdom with us. This is something we all need to remember from time to time. I'm happy that the person in the mirror is me! This was not a good post to have missed, so I'm glad you posted it again. I hate those kind of sessions, but end up getting stuff out of them that I can use. 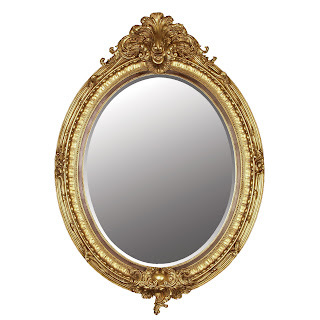 Liked the mirror being a constant as your core should be. There has to be a constant anchor, or you are adrift. Excellent post, both times. Thanks for all that you do. Insightful and well-written post, Don! I remember it and can see why you wanted to run it again -- it inspires some self-examination about values and priorities. And I agree -- our core values should remain unchanged despite changing circumstances. It makes me think about the quotes, "Circumstances do not make the man; they reveal him" (A. Lincoln), and "The true test of a man’s character is what he does when no one is watching" (J. Wooden. Building our character upon solid core values means that it does not change, regardless of which way the mirror is situated. We often stray and don't even realize it. Or we employ a little double-standard. Great repost, DL. It's important to take a step back and look at the person on the inside as well. Sounds like it was a great exercise. Wow, I'm feeling bad about putting up a fluff piece when you put up something so important! Well said, DL. This blogfest is a great idea. I had a lot of fun going back over my old posts for the year. Just seeing what I was up to and how I was feeling at the time was very interesting. When do we get to see all the rest of these Christmas trees I've been hearing about? You should post one a day until Christmas! I always balk at these kinds of exercises, but they can lead to some valuable insights. I'm glad I had a second chance to read your post! Oh, I remember this one :) And I loved it just as much then as I do now. I'm glad you chose this one, especially since around the end of the year a lot of stress comes in and we tend to blame things on our circumstances. I loved this one last year. Oh well, it's great for you to gather so many in cyberspace, D. Have a wonderful holiday!! Great post. I'm glad you chose it to re-run today, because I missed it the first time around. Another thing about core values is even though the image in that mirror changes over the decades, our core values remain as shiny and true as the day we first embraced them. Nice posting and though I don't remember it, thanks for sharing it in the blogfest once again. It sounds like a good exercise and I definitely agree! Great post btw and great blogfest! Thanks for hosting it! Happy Holidays to you and your family! Can't blame circumstances. If we fail, WE fail. I remember this post :) Great message! Great post and wonderful message, DL. Thanks for hosting this awesome blogfest. Great story! Thank you for hosting this opportunity. I am your newest follower. Great post, Don. It is amazing how much time we do spend worrying about the superficial things and how little spend examining what our values are. Penny wise pound foolish it seems. I've always envision values to be like a sea wall to an island. If you don't pay any attention to it, over times the constant pressures from the rest of the world will erode it and one day you'll wake up to find there's nothing left. First, I wanted to thank you for hosting this blogfest...it's a great concept. I think it's true what you say about how people's core values are tested when they encounter adversity. I still remember reading in Harry Potter that line about the importance of choosing to do what is right over what is easy, and I totally agree. People who don't reflect on what their core values are might often find themselves doing what is easy, unforunately. That's why in writing, I think it's important to put our characters through situations where they encounter adversity to see how well they'd hold up. This sounds like a great exercise to do. I enjoyed this post the first time, too, though I don't recall if I commented. I hope so! Thanks for a fun blogfest. Glad I found it while I could still sign up. 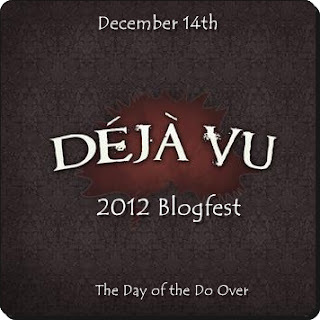 What a great idea for a blogfest and a great post to revisit, too. Very thought-provoking. What a wonderful message. Thanks for posting this and running this great blogfest! That sounds like such a great exercise to find out who you are when it matters most. Awesome post! I'm also a bit skeptical about these leadership programs, but I've been to a few (even a Tony Robbins firewalk), and I've got to say they have their value. As with everything, a large part of it is how one chooses to take it, how open you are to the experience. There's a lot of straw filling, but in the end it's a personal experience, and one takes away what one wants. Still, the opportunity to delve into oneself is priceless, and I'm glad you enjoyed it. Aaaaand--you touched on a really good point: these exercises of self-exploration are super useful to us as writers :) Thanks for sharing! Great post! I'm glad you dug that one up. We did a similar exercise with our financial planner. It sounds weird, I know. It was hard, but I learned a lot. Beloved husband and I ended up sharing three of our five value cards (the exercise was done individually). Pretty cool. I did a word art piece from it and we had it framed and put in our kitchen to keep us "accountable" to who we are. Great post DL. I missed this one. I'm glad you brought it back! You picked a good one for Deja Vu. I remember it!! I haven't seen this before, so I'm glad I got to read it. Thanks for hosting this blogfest. This is the first time I've seen this post, so thanks for repeating it. It's hard for me to step out of my comfort zone. Write Club was one of the first times I did that, so I appreciated the opportunity. I would have been extremely apprehensive about a program like the one you went on. Sounds like you got a lot out of it. Love the upside down mirror. And since I'm reading this a little late, the first thing I thought of while reading your last paragraph was those heroic teachers in Newtown, CT. Thankfully, most of us don't have to be tested to that degree.